Do I get to keep my participant after the Work Experience is over? Participants are expected to complete a minimum of 35 hours of work per week. Once participants begin their work experience with you, they become your employees, however, ESG will provide support as needed for the first 12 weeks. Support may include ways of working through attendance/punctuality issues, communication, teamwork, client care, etc. However, keep in mind that participants will have received 8 weeks of employability workshops prior to their placement with you, so these issues should not be expected. How can my participant help me around my facility? 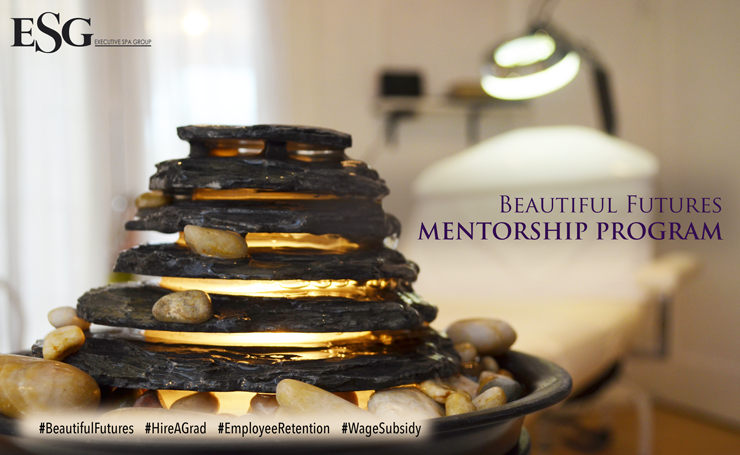 Well, besides industry certification in the technical focus, your participant has also been trained in Reception and Spa Assistant duties to free you from administrative duties while you develop your ideas. What if my participant misses hours of work? Like all other employees, missed shifts/hours are not paid to the participant. Though this is not expected, should this happen ESG can only help resolve issues if we are made aware of issues in a timely manner. How does the Wage Subsidy work? The wage subsidy is an incentive for employers to hire and train a participant to work for them. The new employee’s wages are partially subsidized by the program for 12 weeks, as long as the employee is working 35 or more hours per week. If eligible, the wage subsidy available is $6 per hour throughout the 12 weeks. The goal for both the employer and the participant is long-term employment. Wage subsidy provides wage relief during the initial period where you train your new staff to become functional in your facility. Are all employers eligible for the Wage Subsidy? You will be required to submit monthly reports to ESG regarding the employee’s hours and wages. Once a participant starts their work experience with you, they officially become your employee. Therefore, please ensure that your business insurance covers all employee-related liability. You are responsible to deduct Canada Pension Plan, Employment Insurance and Income Tax will from participant wages and remit to the Canada Revenue Agency, just like your other employees. ATTN: Alberta Beauty Industry Employers We know it’s hard to find dependable staff. Our mission is to cultivate Alberta’s beauty industry by connecting employers with service providers in order to meet their staffing needs. Our Professional Resume Bank is one of the tools we use to accomplish our goals. This resume bank is a free service to both, employers and workers, dedicated to maximize success rate of meeting staffing demands. Don’t get swamped with ineligible resumes! Cut time with ESG’s Resume Bank. Our resume bank allows you to browse anonymously and search profiles by industry skills. Not only does this save you time, it also protects your privacy by avoiding constant job postings on job banks where not only your competitors see your hiring activity, it also sends a message to Service Providers that you are unable to keep staff (whatever the reason may be). How does the Resume Bank work? Service Providers and support workers all over Alberta upload their resumes to maximize their exposure to hiring employers. All pertinent information is available, such as education and experience, and most importantly, all the technical skills (services) they are certified to perform. Though ESG asks all individuals to only include skills for which they are certified to perform, we recommend always conducting your own background check and confirming documentation. Employers are able to browse and review profiles on the Resume bank after creating an Employer account. If you find any profiles you are interested in, submit your interest directly to them. We recommend always meeting for interviews in a public place. Why are the Resumes discreet? The resumes are discreet to protect the identity and privacy of Service Providers all over Alberta. 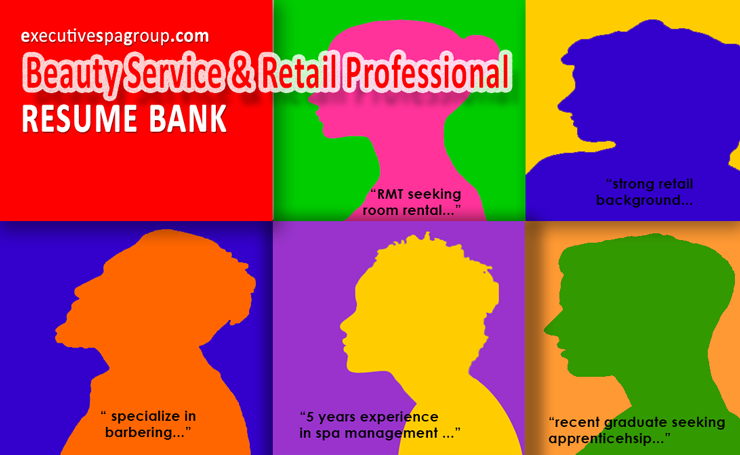 To use the Beauty Service and Retail Professional Resume Bank, simply visit executivespagroup.com and create your employer account. 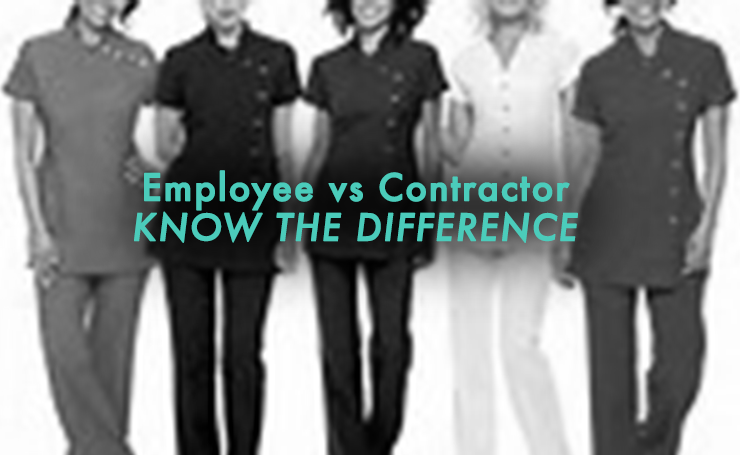 Employee vs Contractor in Alberta’s Beauty Industry: What’s the difference? The beauty industry offers all types of work arrangements. This article is meant to help both employers and service providers understand what their roles and responsibilities are in their particular work arrangements. Remember that employees and contractors are governed by different employment laws and regulations, so it’s important to know which you (or your staff) fall under! Contracts are highly recommended as they allow for written clarification of any agreements made in the employer-worker relationship. Employees in the beauty industry are regularly paid either a wage, salary, commission, or a combination of wage + commission. Contractors on the other hand submit invoices and may receive payment at intervals agreed upon by them and the employer. In the beauty industry however, chair/room renters pay an agreed amount to the employer and do not disclose to the employer their earnings or expenses. Employees’ additional training is paid for or reimbursed by the employer, as where contractors pay for their own training costs and must have the required training before providing services. Employees’ hours of work are determined by the employer, as where contractors choose their own time of work. In the beauty industry however, chair/room renters may work during their hours of choosing, as long as it in accordance with the employer’s hours of operation. Employees in the beauty industry are provided all the tools and equipment necessary to perform services. These tools and equipment are maintained by the employer, however, a good service provider will extend the life of any tool or equipment by using it properly and sanitizing it after every client. Employees can choose to provide their own tools. Contractors provide and maintain their own tools and equipment. Ultimately, the employer and worker agree on the terms and conditions of their arrangement, but generally, chair/room renters are provided with a space within a salon/spa to provide services. Often a chair is provided by the employer to chair renters. Employees are deducted personal federal and provincial income tax, Employment Insurance (EI) premiums, Canada Pension Plan (CPP) from their employment earnings by the employer who in turn submits the deducted tax to Canada Revenue Agency (CRA). Contractors submit their own federal and provincial tax deductions to the CRA. Sole Proprietors declare their earnings as personal income and therefore do not pay federal or provincial corporate taxes. Incorporated contractors submit a federal corporate income tax return along with their annual return. In terms of EI premiums, it is always the employer’s responsibility to pay the employer and employee portions of the EI premium. This includes EI premiums of chair/room renters. 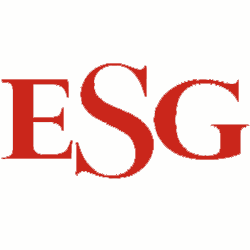 Contact ESG to learn more on how to deduct EI premiums from chair/room renters. In regards to CPP, the contractor is responsible to contribute to CPP. Employees do not collect GST from their clients; Contractors including chair/room renters, (Sole Proprietors or Incorporated) must register to collect, charge, and remit GST once their gross annual revenues reach over $30K. Employees are covered by Alberta’s Employment Standard Code which entitles employees to general holiday pay/overtime pay/minimum wage/termination pay/vacation pay and time off. Contractors are NOT entitled to many of the perks enjoyed by employees. As a contractor in the beauty industry, it is important to cover all these details in a written contract prior to commencing employment.